Today we chat with Harker HS junior, Corey Gonzales (photo to the left courtesy of Hank Lawson). Less than 2 weeks ago, Corey won the Central Coast Section (CCS) Division IV race with a new personal record of 15:34. Last year during the Track and Field season, Corey finish in 7th place at the CCS 3200m. final with a time of 9:28.26 right behind fellow sophomore Steven Sum. They will be the fastest returning 3200m. runners during the spring season. As we head into the CA state XC meet, Corey is ranked in the top 10 in Division IV and will be vying for one of those coveted podium spots. I’ve played tackle football, baseball, basketball, and wrestling. 2) When did you first start running? When did you first realize that you could be a successful runner? My dad used to be a semi-competitive runner and he would always drag me along to do 5K road races with him. This was back in like third grade and I can definitely say that it wasn’t all that fun for me. However, I’d always been considered a “good” runner throughout elementary and middle school, and I think my middle school PR in the mile was like 5:45. In middle school my main focus was actually wrestling, and I spent pretty much all of freshman year training for it. 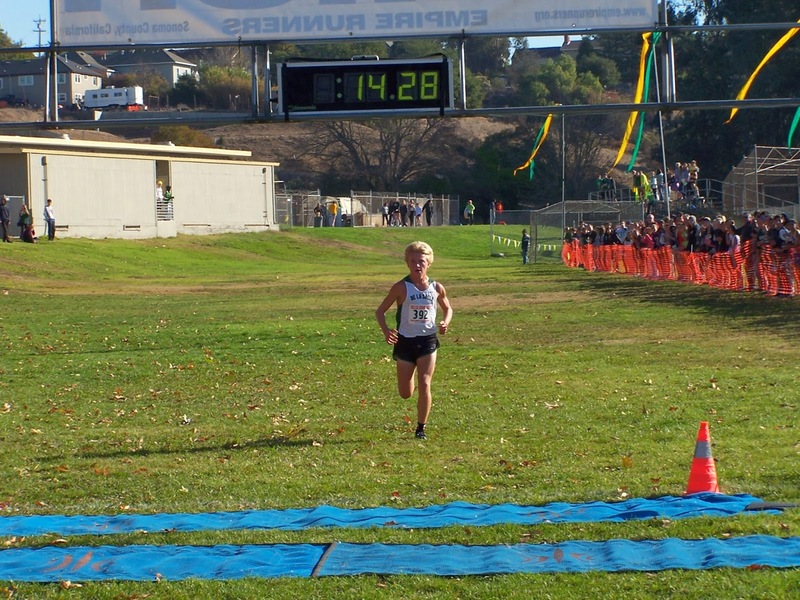 I probably first realized that I had some potential in running when I ran 16:53 at Crystal Springs during CCS Championships. I had only joined cross country to help my fitness for wrestling, so this race was a good indicator that I could achieve great things in running if I put my mind to it. 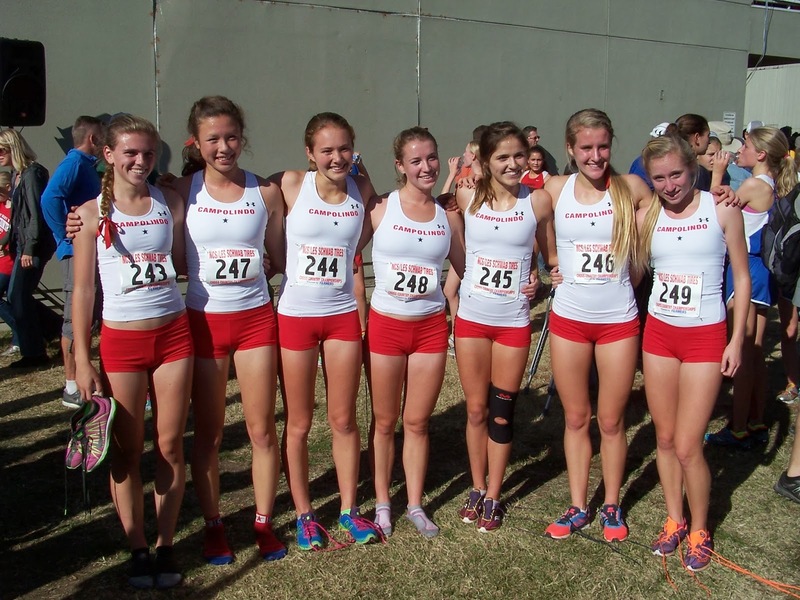 3) Tell us a little about your freshman cross country season and some of your highlights? Highlight was definitely my CCS race. 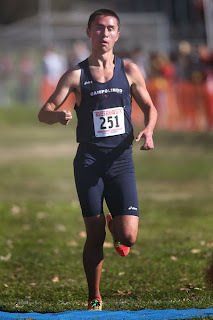 I was able to cap off the season with a pretty solid freshman time and with high hopes for the future. 4) What about your freshman track and field season? Highlights? Freshman year I was actually injured for most of the track season, but I’d say my highlight was running 10:19 in the frosh-soph 3200 at CCS Top 8. Breaking the five-minute barrier in the mile was also pretty sweet, which I did in our second league meet. 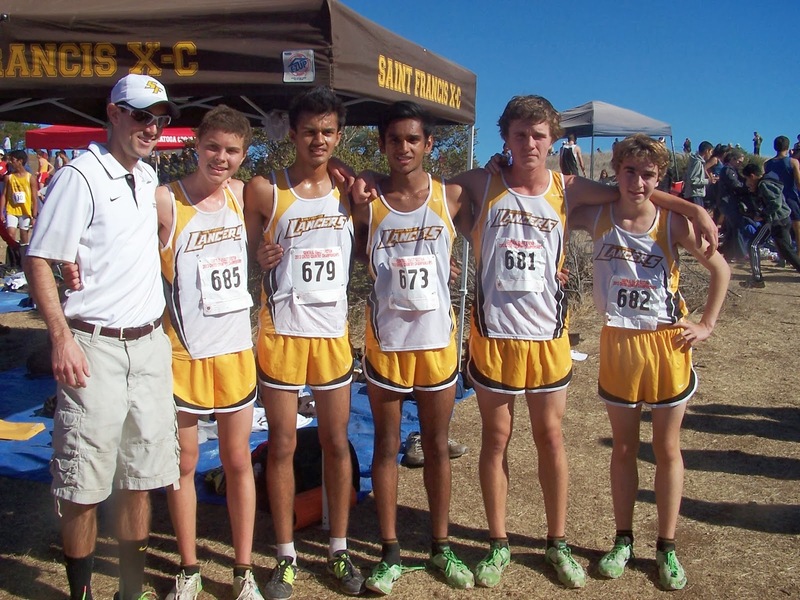 5) What did you do differently, training wise, before your sophomore cross country season? The biggest change heading into my sophomore year was just that I began to train consistently. After track, I took about 3 weeks off and then got right into my summer training. I did zero quality work, instead just working on slowly building my mileage until I was running about 40 miles per week in August. That was a lot of running for me at the time. 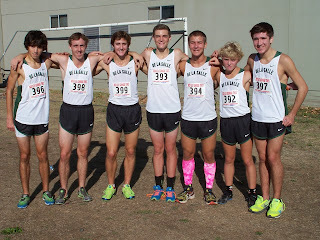 6) What do you feel were your best sophomore cross country and track and field races? What are your current T/F personal records? 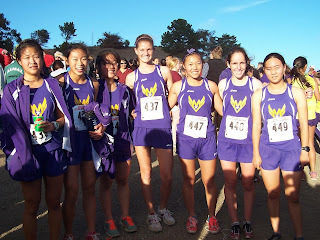 In my mind, my sophomore year of cross-country was like a stepping-stone for me. 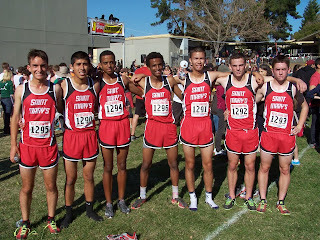 I started to show signs of success by the end of the season, running 16:18 at Toro during CCS, good enough for 4th place and a state meet berth. It wasn’t until track when I really began to break out though. My biggest highlight was probably either running 9:28 at CCS trials to qualify for the finals, or running 4:24 at the Sacramento MOC. Finally, after running these two times, everything felt like it was starting to come together for me. 7) What did you do this past summer in preparation for this current season? What was your typical weekly mileage? Longest run? Any workouts? This past summer wasn’t anything too fancy for me. 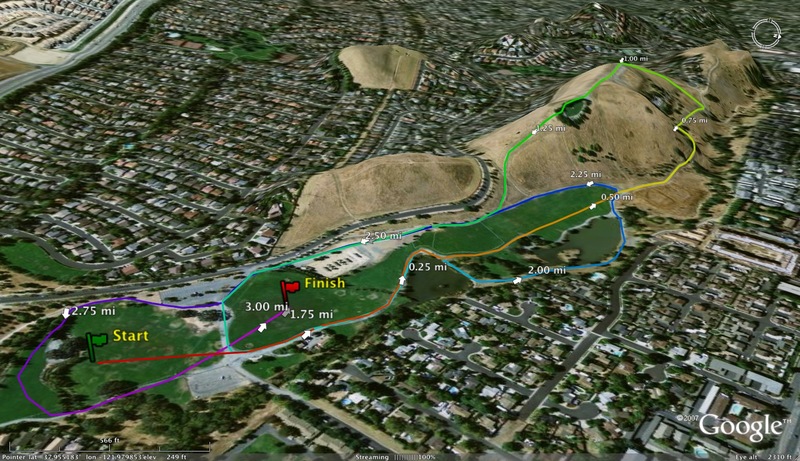 I took 2 weeks off after track, and then started out running around 30 miles per week. 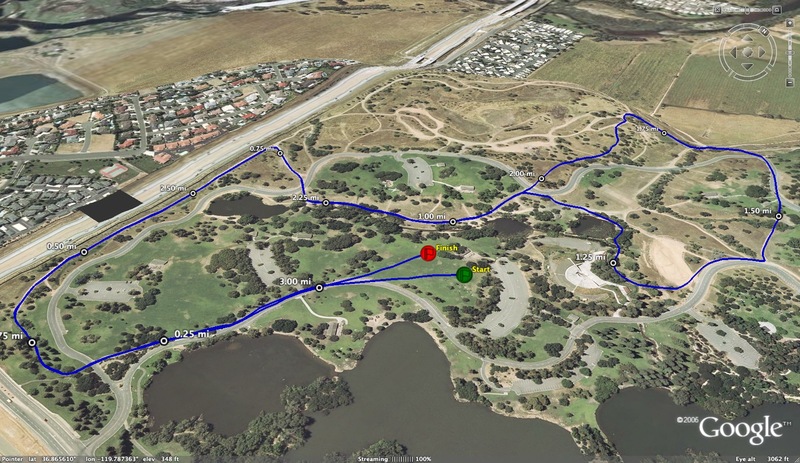 From there I just slowly increased the mileage, most of which was done at Mike Dudley’s summer boot camp, which I highly recommend for anyone looking to get together with a good group of runners for some low-key mileage. By the beginning of August, I was up to around 50 miles a week or so, but the removal of my wisdom teeth followed by a fever kept me from running for nearly two weeks. It was a pretty unfortunate way for me to start the season. I didn’t really do any quality work all summer – just volume. The longest runs I ever did were 80 minutes, so I was probably hitting around 11 miles on these. 8) What does a typical week of training look like for you during the season? What are the workouts that give you the most confidence? Hardest workout(s)? How often do you lift or do any kind of ancillary work? As for workouts that give me confidence, I’d have to say that 800m repeats give me the best benchmark, at least for cross-country. Our workouts vary so much though that I wouldn’t say we have a single “hardest” workout. But we do try to redline at least once a week. Over the summer, I lifted about twice a week. Just basic stuff like squats, bicep curls, lat pulls, etc. and high reps with low weights. I know for me at least, I run a lot better when I feel strong so these workouts were just to help me add on a few pounds of muscle before the season started. During season, I would just do bodyweight stuff like pushups, pull-ups, core, etc. 2-3 times a week. 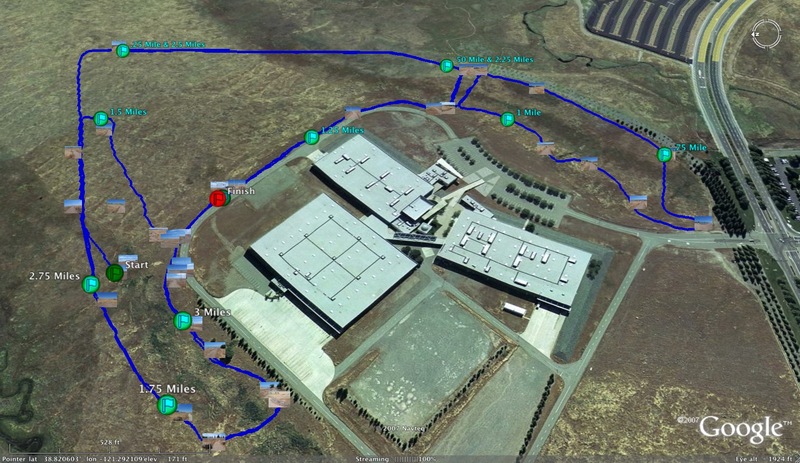 9) What was your plan heading into the CCS meet? How familiar were you with your closest competitors? When did you make your move to the finish line? 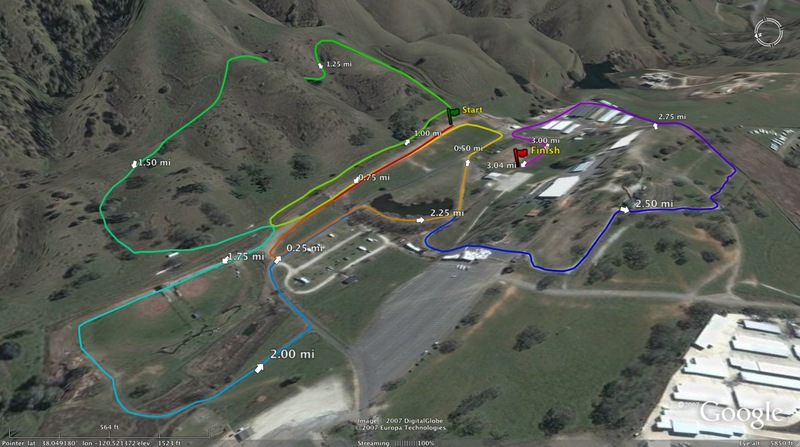 Well my plan going into CCS was to win, and I knew I could if I raced my absolute best. Logan Marshall had been running better than me all season and Edgar Bonilla has a crazy fast Toro PR. 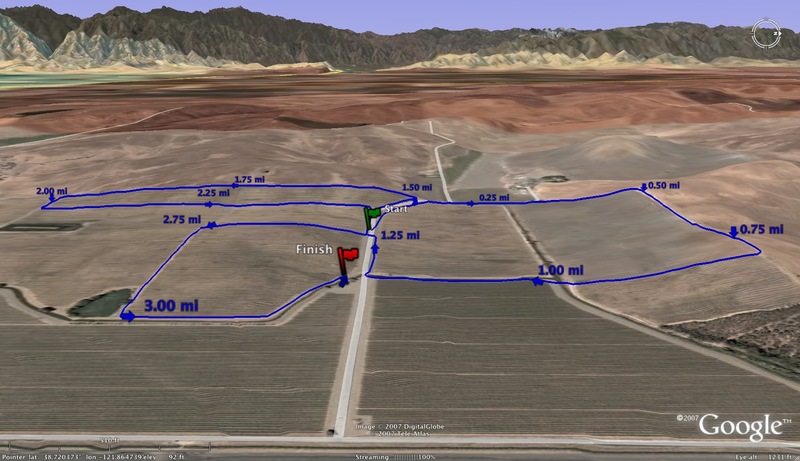 I knew that if I ran a relaxed first mile and stayed with those two for the middle part of the race, I could hopefully make a move right around the second mile marker. 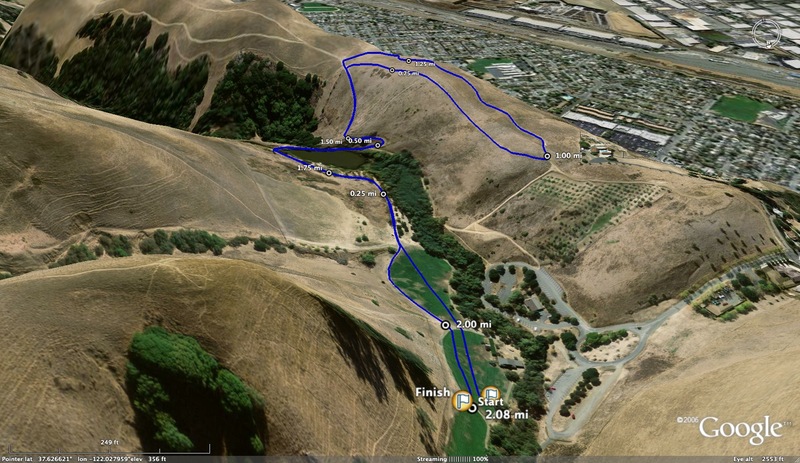 As it turned out, I actually waited until after the last hill to really take off (so like 1000m to go) – from here, it was straight to the finish line. 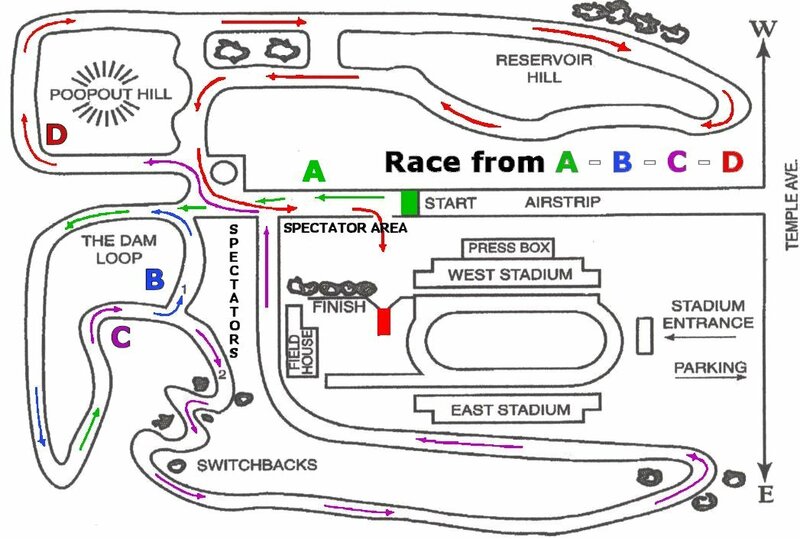 10) Heading into the state meet, what do you feel are the keys to running well on the Woodward Park course? Last year when I ran at Woodward I think I psyched myself out a bit too much because it was by far the biggest race I’d ever been in. I ended up going out in like 5 flat for the first mile and dying. Now, I’m a lot stronger and I hope my experience from last year will help me run a smarter race. I plan to go out fast and relaxed; I know that tons of guys will end up dying at some point during the second mile, so the key for me is to get out fast enough to be competitive with the top runners without over-exerting myself. 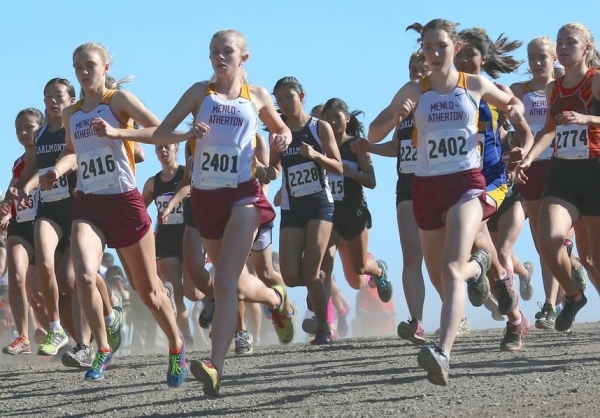 11) What is your advice for a young talented runner who wants to get to the next level and compete well at the section and state levels? The great thing about running is that there are so many things you can do to help yourself improve. But here are just a few tips that I always like to keep in mind. 1) Have confidence in your training. I used to be a really impatient guy and running has taught me to thrive off of delayed gratification. I put in a good amount of training the summer, fall, and winter of my sophomore year, and it wasn’t until the spring when I finally started getting decently fast times. Stay consistent and determined and the results will come. 2) Always be thinking about what you’re doing and how it affects your running. This is still something that I could work on a lot, and I mean we’re all still in high school so I also think that living a balanced life is pretty crucial. But a good thing to keep in mind is that just as important as practice itself are the 22 hours that you’re not in practice. Always be thinking about recovery, diet, sleep, etc. Thanks for the interview Albert! Not gonna lie it’s always been a goal of mine to be on your website one day. Keep it up, it’s awesome! Best of luck to all the competing teams and individuals today. 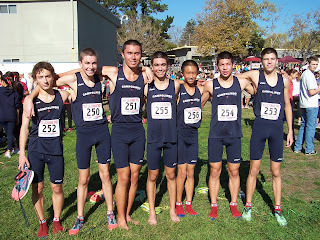 Individual rankings for the upcoming NCS MOC meet this Saturday. Who is the biggest favorite to win this Saturday? Who is going to surprise the field with an unexpected individual victory? What will be the most competitive division? Here are my rankings before I turn them in as part of the preview article that you can get with the meet program on Saturday. Please let me know by commenting below if I missed anybody or if I am way off with my rankings in any way. Thank you in advance for any comments. Any others? Send them my way to albertjcaruana@gmail.com and I will add them to the lists. Best team performance? Best individual performance? Biggest surprise? Best team race of the day? Best race for individual title? competing in track and field for Duke University. Price was a double-winner at the Central Coast Section track and field championships last season in the 200- and the 400-meter races. She took sixth overall in the state in the 400. She competed in the track and field Canadian Junior National Championships last summer placing third overall in the 400 and placed eighth in the U.S. National Junior Olympics. Price also was one of the Knights' top scorers and rebounders on the CCS championship basketball team and as a freshman was a state qualifier in cross-country. Price is the second Menlo School track and field athlete during coach Donoson FitzGerald's 12-year tenure to attend Duke on scholarship, joining former state 800 champion Libby Jenke (2005). 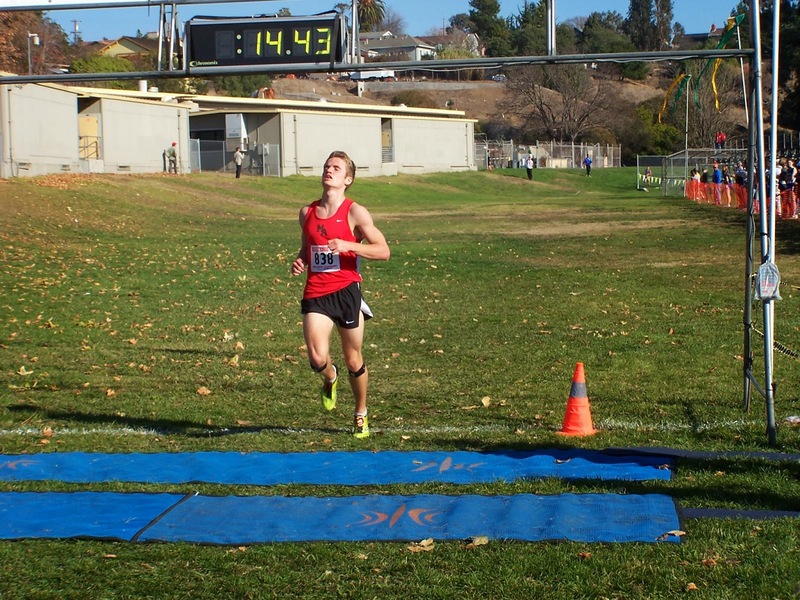 In Varsity Boys competition, Tanner Shaw led the Athenian boys running the second fastest time (14:18) on the Joaquin Miller (2.6 miles) course trailing only the 14:04 by Redwood Christian's Josh MacDonald. 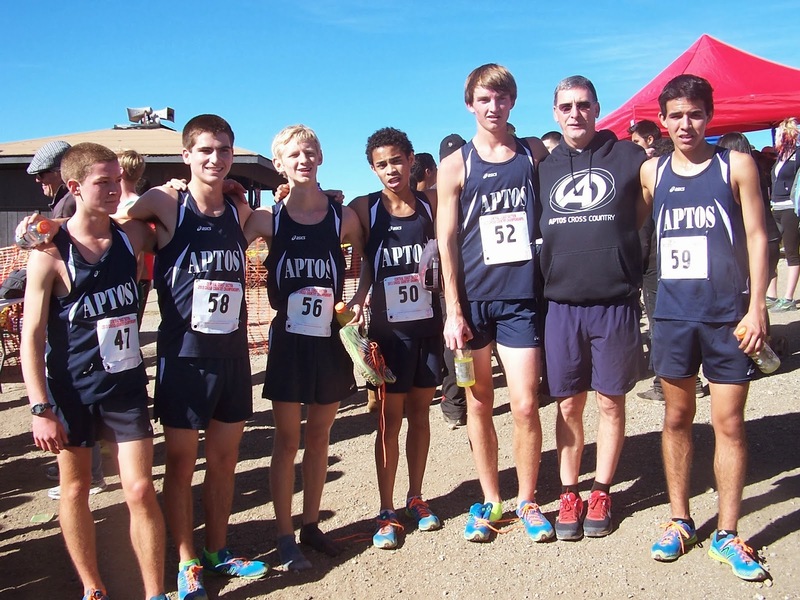 This was Athenian's third league team championship in a row. College Prep's run of 7th straight league championships came to an end as Athenian swept the first four individual places led by freshman, Grace Brown. She was followed by teammates Delaney Inamine, Rebecca Elliott and Melise Knowles. Today we chat with Lick-Wilmerding HS coach, Jeffrey Gardiner (Jeff is on the right in the picture to the left speaking with University HS coach Jim Tracy). Last season, the LW girls XC team made school history by earning their first podium place at the CA state cross country meet with a 3rd place finish. 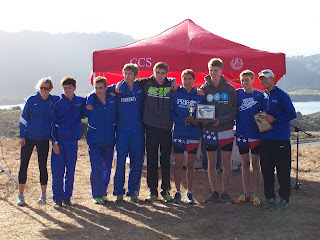 Jeff has his teams really rolling this season as they swept all four races (2 JV and 2 Varsity) this past Friday at the BCL West Championship meet at Golden Gate Park. The Varsity girls scored 22 points to win the league championship over 4-time defending state champions University HS. His boys won the league championship over an impressive Marin Academy team that includes defending individual state champion, Trevor Reinhart. 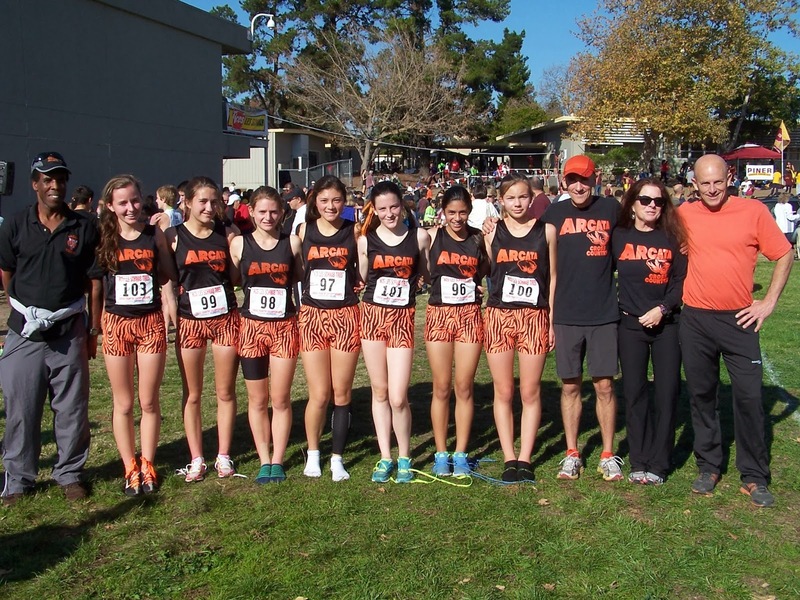 As we head towards the NCS meet on Saturday, November 23rd, Jeff's girls are ranked 2nd in state and the boys 5th in state in the latest state rankings by www.dyestatcal.com. 1. Tell us a little about your own experiences playing sports. Highlights? Who were your most influential coaches and what did you learn from them? Through 8th grade I played everything (basketball, baseball, football, a little hockey), and I considered myself a baseball player (Little League All Star for last 3 years before I stopped playing). Near the end of 8th grade while walking home from school, I stopped to watch a track meet at our high school. I watched a tremendous race between the two best runners in our school, who were also the best in our section. I was in awe of these guys. 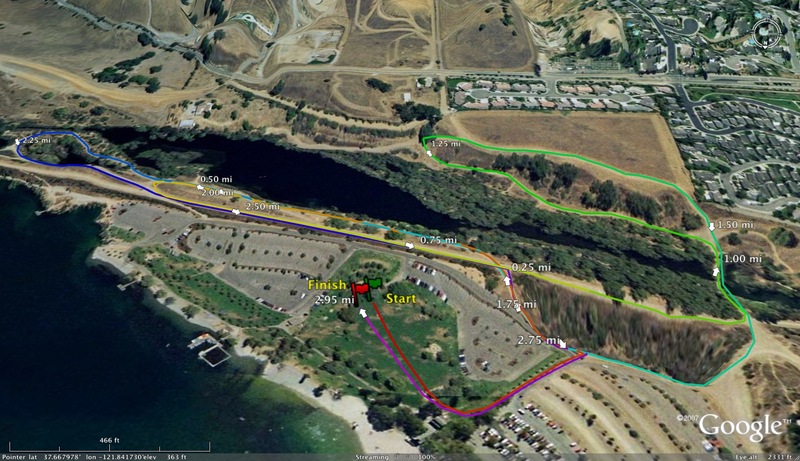 The race was so exciting, I decided that I wanted to become a runner. Two years later I won the New York State Junior Olympics 880 (that will date me) at the Intermediate age group level. Two years after that I took 3rd at the senior level. I set a school record in the 880 and won our section, but at that time our section didn’t compete in the State Championship, so that capped my season. I ran for a year at the University of Connecticut, but my interests had changed and I didn’t give of myself fully to the training and finally quit competing. My high school coaches in cross country and track were major influences on me. 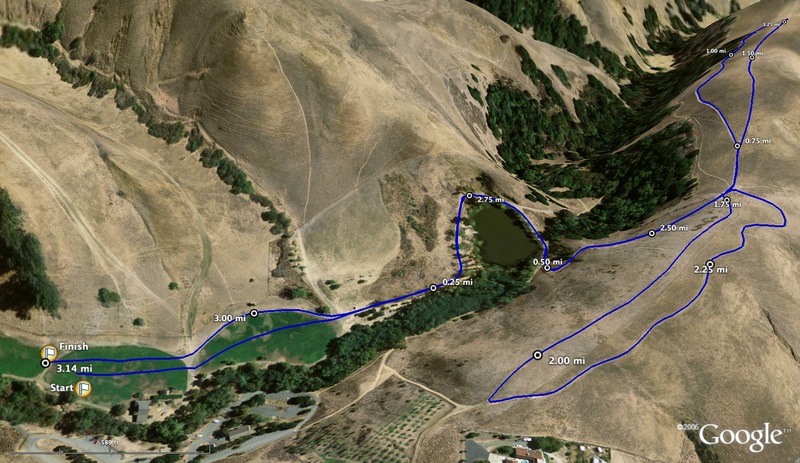 The cross country coach instilled in me a sense of patience about developing as a distance runner and just a basic love for going out for long runs. He also was a very considerate listener. He would listen to us and was open to suggestions about workouts. 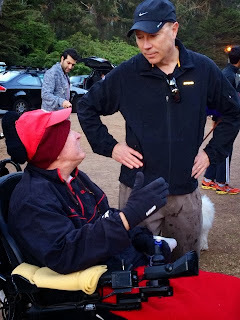 At the time, I was completely immersed in reading about running, so I would make suggestions based on something I had read and he often incorporated it into our workouts. At the time I felt great that he listened to me but probably didn’t realize just how extraordinary he was to be so open. A couple of years ago at a sports banquet that was honoring our teams from those years, he gave a speech that reminded me of just how kind a man he was (is) and how he extended that to his runners. All of them, regardless of ability level. I hope that I learned to do that as well with my runners. My track coach was like a second father. He often gave lectures to the team on values. He had recently gone to a theology seminar but decided his calling was working with high school students. The motto he said to us many times was “let each become all that he is capable of becoming.” Years later he would talk to me about books that he recommended, and I realized then that he had derived much of his approach from the psychologist Carl Rogers and his book On Becoming a Person. His message of personal growth as a process applied clearly to developing as a distance runner. Those ideas stuck with me and inform my coaching. Annually I still go to my home town in northern New York and talk to him. Those two coaches gave me my fundamental values as a coach. 2. What do you do besides coaching? I am a manager at VMware in their training department, and one semester a year I teach an evening English class at City College of San Francisco. I still write an occasional critical essay on the poetry of Charles Olson and host the American Literature Association panels on his work when the conference is held in San Francisco. Just had a brief piece published in a book on Black Mountain College--where Olson taught in the 50s. Olson's breath-based poetics probably relates somehow to my running and coaching but you'll have to ask Urban's coach, Bill Cirocco, who studied with Olson, about that connection. 3. When did you start coaching at Lick-Wilmerding? 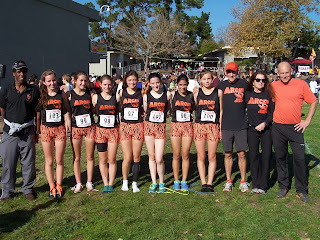 I started coaching and helped found the track team in 1997 at the urging of my daughter, Lillian; I started coaching the cross country team in 2004, but stopped coaching XC and track a couple of years later when a series of deaths in my family took a toll and I couldn't give enough of myself to my runners to justify holding onto the coaching position. My daughter got me back into coaching again in 2009. 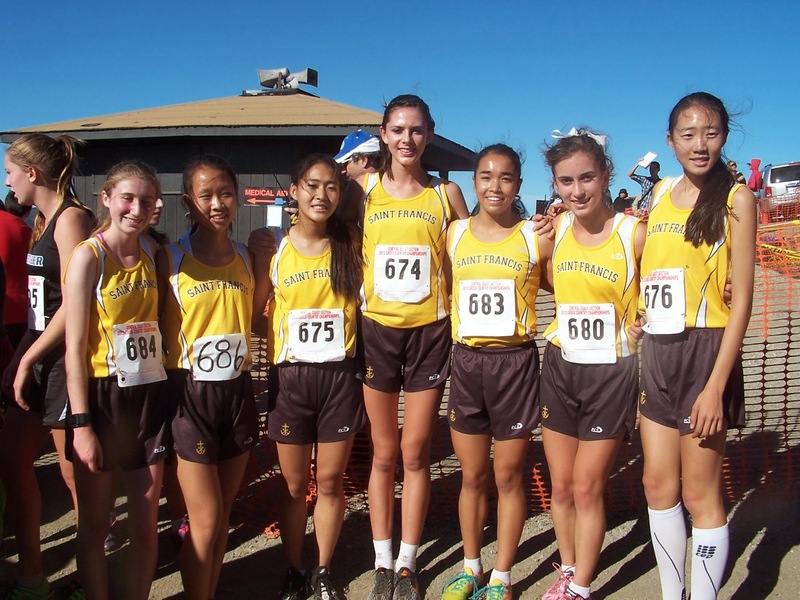 After she graduated from college (she ran for UC San Diego and was captain of their XC team her senior year), she held a position at Lick in the Development Office. My former assistant coach, Andy Hammann, who took over after me, brought her on board as an assistant coach. When he left to go to Stanford in a Ph.D. program, my daughter convinced me to come back to coaching. She's since moved on and left me to the school. 4. 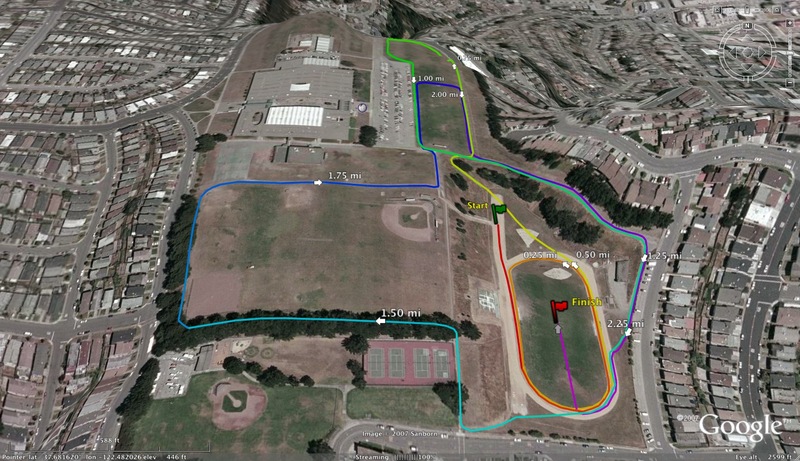 Did you coach at another school before Lick-Wilmerding? I coached a youth track club part-time. I also coached the Team Diabetes marathon program for a couple of years. 5. Tell us a little about Lick-Wilmerding for those of us out here that are not familiar with the school. How old is the school? Lick’s history is a bit complicated because the school is actually a combination of 3 schools, but its origins start in 1895 as a Mechanical Arts school. In the 1910s an equivalent all-girls school started and the faculties were shared. Eventually they would merge with an industrial arts school that was started in the 30s, which included a drafting and architecture program. There is more to it than that, but that is a rough overview. The current school is highly academic but still offers shops in metal, wood, and glass construction and continues with an architecture program that is superb. I see it as a descendant of the Bauhaus plus rigorous academic studies. The school is located on Ocean Avenue in San Francisco and the enrollment is roughly 450 students. 6. During your coaching tenure, who have been your mentors that have helped you develop as a coach? Probably too many to list and not forget someone. I simply attended clinics whenever possible and drew from a number of great coaches (Vigil, Lydiard, Brooks Johnson, and many others). One coach, Greg McMillan, stands out. I met Greg in person at SF State when Lydiard was there touring the U.S. and giving lectures. That was probably 14-15 years ago. I had read Greg’s work while he was the editor of Peak Performance and was thrilled to be sitting next to him at Lydiard’s talk. 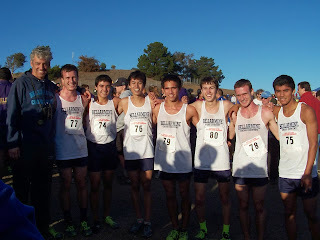 I kept in touch with him afterwards and still see him annually when he brings his runners to the big meets at Stanford. Greg’s generosity towards runners and other coaches has influenced me for years and his website with the McMillan calculator is invaluable, with a few adjustments, for projecting race times and working on paces for runners of different levels. 7. 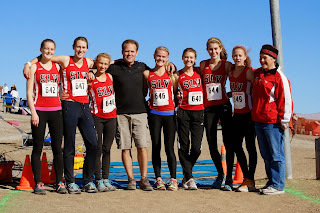 Before last XC season, what were some of your highlights and proudest accomplishments as the LW XC coach? Getting to the State Meet on the girls side in 2004-2005 (with a 7th in 2004). I only coached XC those two years and came back in 2009. 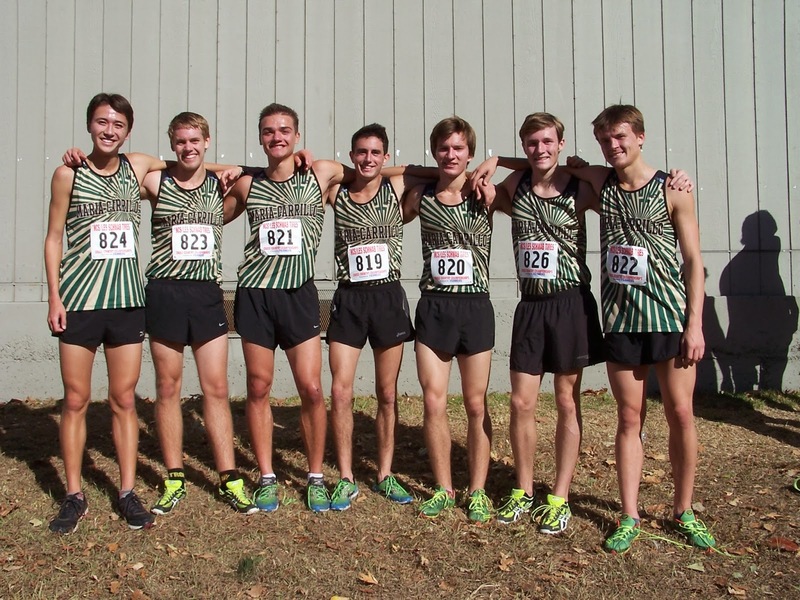 The 2009 team took 5th at the State Meet and put into place an approach to running that would ensure solid teams year after year. 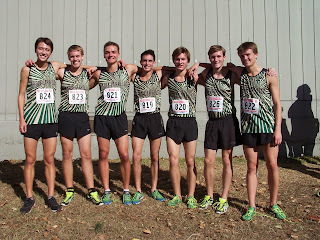 I was proud of that team and the ones that I did not coach but made it to the State Meet in 1999 and the next few years--partly because I saw them grow as real distance runners after attending a summer running day camp, Tiger Trails, that I hosted during those years. A camp that Greg McMillan graciously spoke at and would stay on after his talk for days to run with the campers. 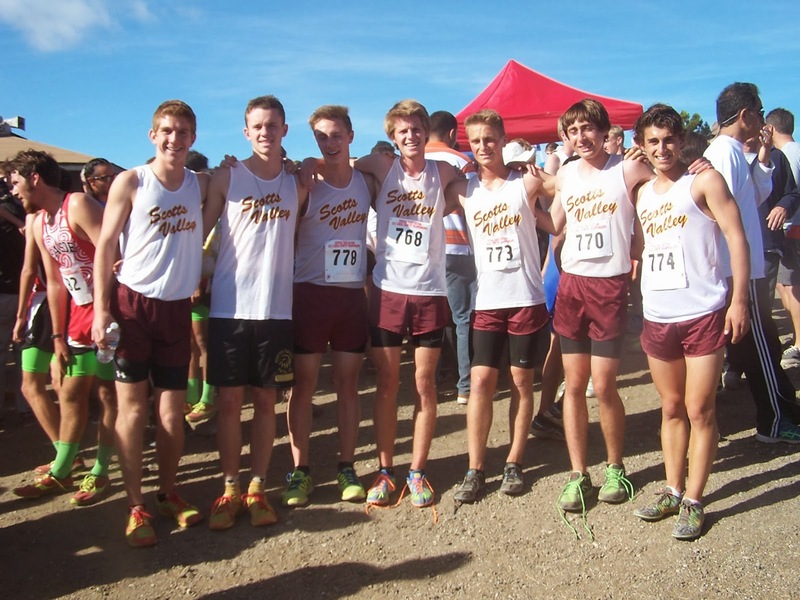 It was gratifying to watch them, even from the sidelines, go from runners who went out for cross country to runners who took the sport seriously and were willing to dedicate themselves to the level of training it takes to get to the State Meet. 8. 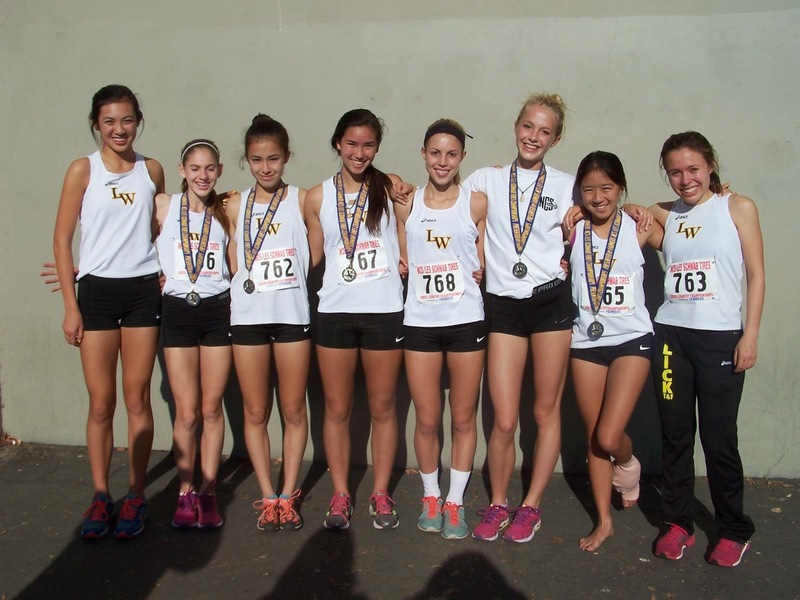 Your girls finished in 3rd place last year at the CA state XC meet to earn your first podium finish. Was a podium finish on the radar throughout the season? Yes, it was. During the first week of the season, during a goal setting meeting, I had them play a game of hangman to see what my goal for them was...the letters spelled Podium. That was one of our team goals, but I knew it was a reach. 9. What was the race that gave the girls the confidence that they could compete with the best Div. V teams in the state? Even though we won Stanford, UHS wasn’t there and Branson ran in the seeded race, so it was exciting to win but it didn’t show us that we could compete at a higher level. We worked hard over the next 5 weeks but didn’t have a meet performance to point to as a benchmark for where we stood. We were ranked 5th or 6th in the state, but that was just a ranking. We needed a good performance in a big meet to give us confidence. We got that at our league championship. With UHS, Convent, and MA in that race--all top 12 teams in the State--that race was going to show us where we were. Our girls ran really well...we still had a weakness at our 5th spot, but 1-4 showed what they could do. We lost that championship by 1 point to UHS...coming down to a tense, close finishing kick between one of our girls, Julia Thompson, and one of theirs...1 second decided that 1 point and the title. Our girls were both disappointed, Julia definitely was, and excited...and that combination truly helped us for the next 3 weeks. It was a motivational blessing that we lost that one. Granted UHS had some key illnesses that day, but still we now knew that we could hang with them. NCS proved that again. They beat us by 10 points and ran, as a team, 25 seconds faster than we did. And finally our top 2 freshmen were coming clear of injuries that had held them back most of the season. Being close like that for the second time was all we needed. 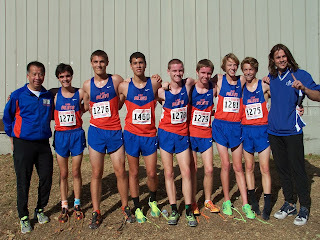 We knew that we would have to run well to get into the top 3 at State, but now we knew that we could. 10. Your teams have been perennial competitors at the CA state meet. 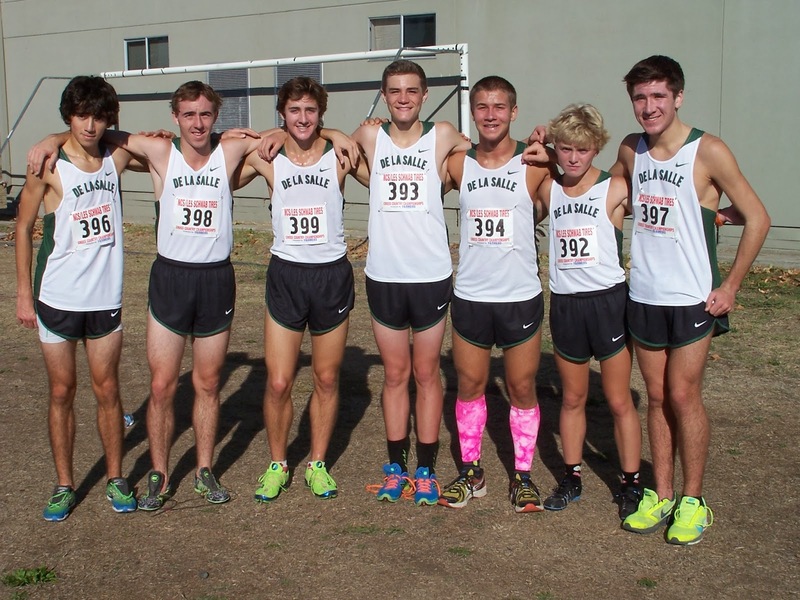 What do you feel are the keys to success at the state meet? Summer running, patience during the season, a focus on improving one’s per mile pace in measurable ways during training, and being highly focused in training during November and trusting one’s training before going to Fresno. That trust is key. 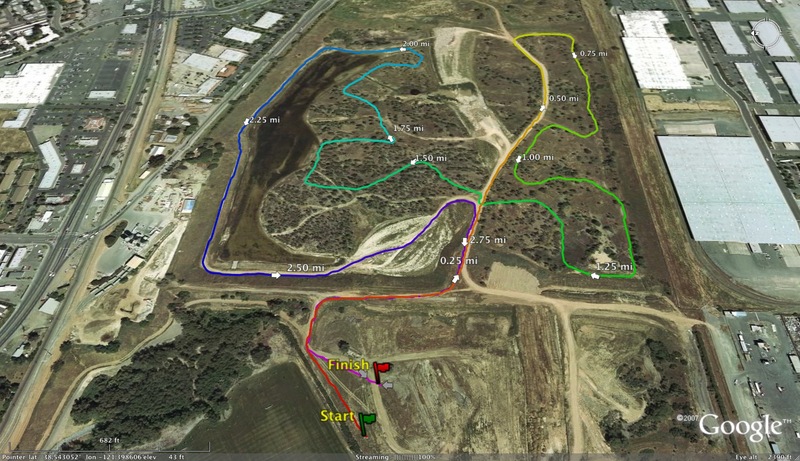 It is very easy to get caught up in the excitement and blow up at Fresno (or be content with just getting there), but if we stay focused on the training and trust that it is taking us where we need to be, and you have all sorts of workout data to show you that in objective terms, then the race will take care of itself. I like to quote the title of a book on Kenyan running: train hard, win easy. New runners often think that races are the hard part; they aren’t if the training intensity is what it should be. So I keep hammering on that and tell them that they should be proud of the level of work that they are accomplishing in training. That helps with confidence going against a lot of good programs from around the state. 11. You are in the same league as University HS which has won 10 state championships. How has their presence in the BCL elevated your team as well as many of the other Division V schools in NCS? If you’re a competitor, and not just someone doing cross country to get in shape for another sport, then you can’t help but respond. 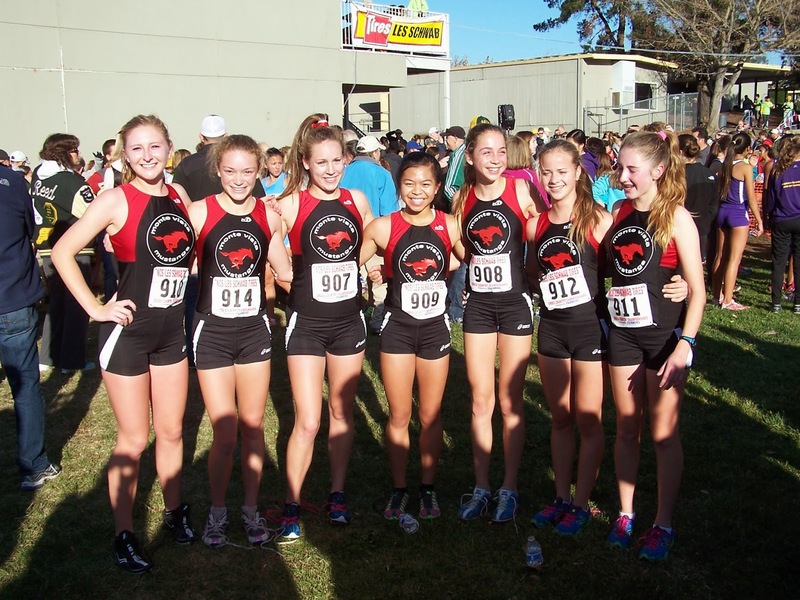 No competitor likes to lose to another team over and over again, especially in our case to a crosstown rival, so you either respond or turn cross country into a social club. We wanted to compete, so we had to raise our game. 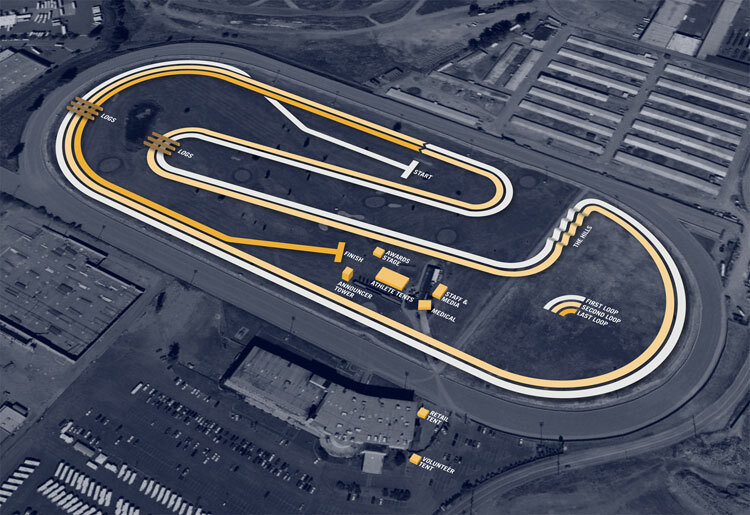 Again, this is a time-based sport, so you can show intelligent kids where they need to get to be able to compete at that level, map out the training to get there, and then it is up to them to do it. And at a school like Lick, with many highly motivated kids, they respond. Our program and all the BCL West programs are indebted to UHS for making us better. Our league has always been good (Kat Saxton of College Prep won the first Division V individual title), but during those years in the late 90s when Mike McManus coached one of the UHS teams to the national level...I think it was the 1998 team that was co-ranked #1 in California for all divisions and co-ranked at #9/10/11 nationally...that was the wake-up call to the rest of the league that business as usual wasn’t going to be good enough any longer. 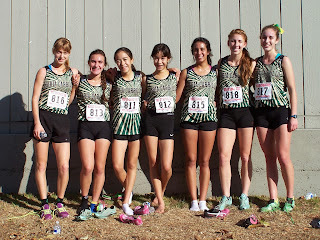 If you look back at our league and section from that point on, we went from a section that only got two berths at the State Meet to what we have now: 6 on the girls side! From 2 to 6 in just over 10 years. That improvement is directly attributable to how high UHS raised the bar. 12. This is XC season but you also coach the Track and Field team in the spring. Tell us a little about some of your team's accomplishments as well as some of the top athletes you have coached. 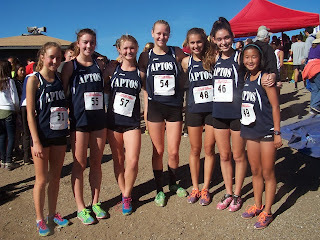 The track and field team started in 1997 at the prompting of my daughter with a team of 7 athletes...two of them on loan from the badminton team. It grew quickly and then took off. 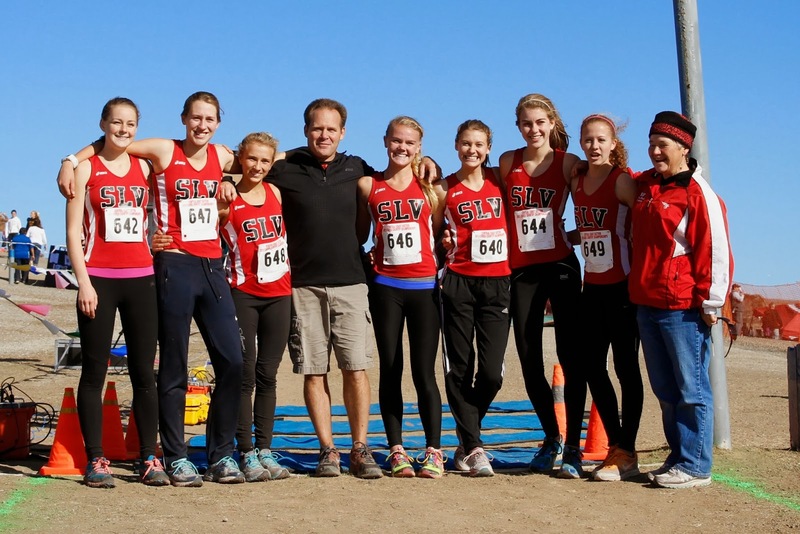 By 2000 the girls were the top team in our league and the boys got there the next year. 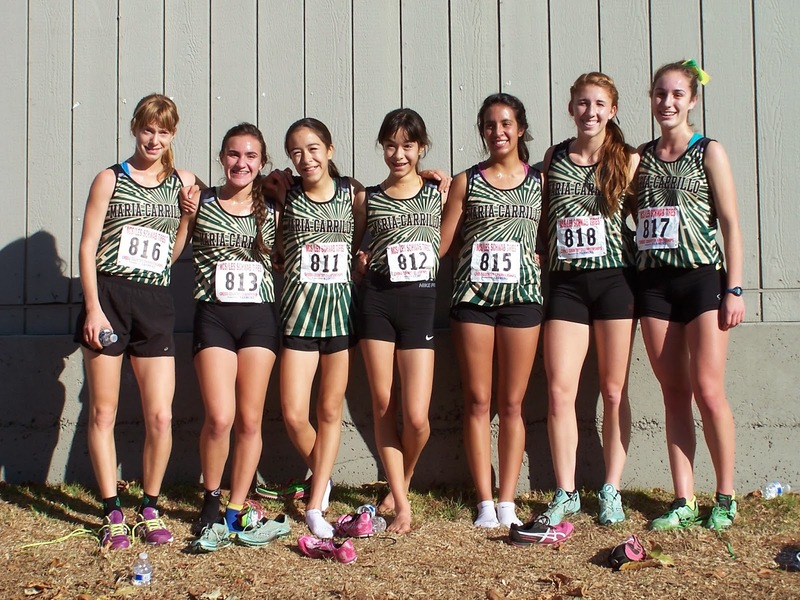 Since 2000, the girls have won all but one of the league championships, the boys 10 of the past 14. 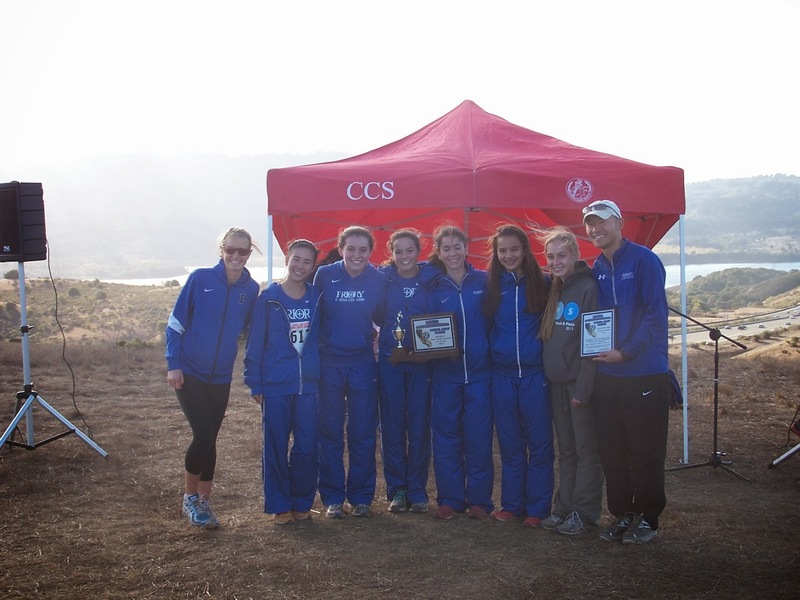 The girls have won 3 Class A NCS championships (3 of only 4 NCS titles that our school has ever won). Among our best athletes have been Amanda Brown in the 400, Eric Soifer in the 100, Jalia Tucker in the shot put, Michael Kreher in the 800, and Molly Dicke in the 3200; they have all gotten into the finals at MOC and a few of them have finished as high as 6th, but no one has yet to crack the top 3 or 4 and go to the State meet. 13. What would your advice be for a coach starting out with a team without any history of success that would like to build a successful program? Use all the resources available to you: other sports coaches, your AD, parents, especially parents, and attend every coaching clinic you can get to. Be sure to bring on board good assistant coaches. People who you can work well with you but who have different styles than you and can then connect with some of your runners in ways that you might not be able to do. I have always been fortunate to have good assistant coaches. Currently I have an alum, Alex Wu, who understands the school thoroughly and that helps a lot. I also have a co-head coach, Ashley Relf, an international level triathlete and sports psychologist, who brings another dimension to our team. Finally, we have a wonderful assistant coach this year, Bridget Dahlberg, who ran for Boston College's #12 ranked team last year. It simply helps to recognize that you can't do it all and that other coaches can connect in ways that you can't. That isn't a self-criticism; it's just a matter of acknowledging personal limits and differences in coaches and our runners. After Marc Bloom stopped publishing The Harrier, it felt like there was a void. 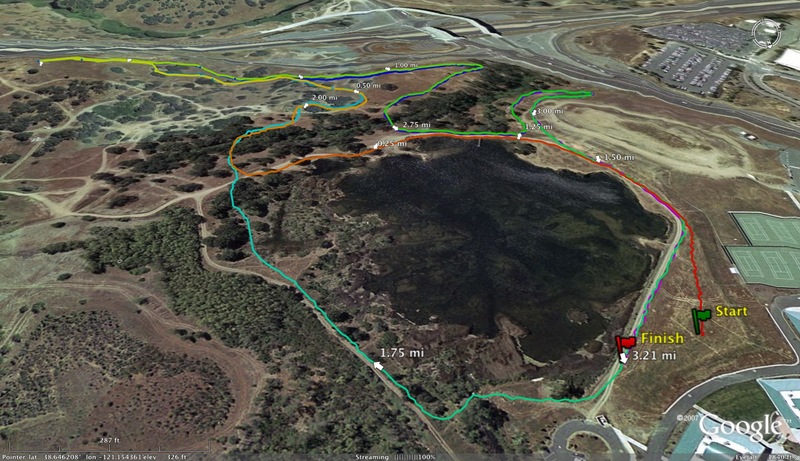 California runners thankfully have your site to keep tabs on their sport and what’s going on. Just want to thank you, Albert, for all the effort you put into keeping a lively website like Cross Country Express going. My runners love it.